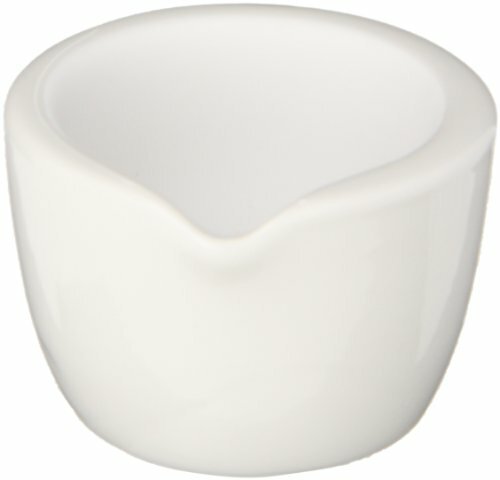 This CoorsTek porcelain mortar with a lip is glazed on the outside except on the bottom. It is suitable for basic laboratory purposes. CoorsTek porcelain & ceramic labware has excellent thermal-shock resistance. Material: Porcelain. Porcelain material has excellent chemical resistance and heat resistance.